I love boneless country style ribs but my husband usually cooks them on the pit. He is the pit master at my house , but his job keeps him away on the weekends at times. 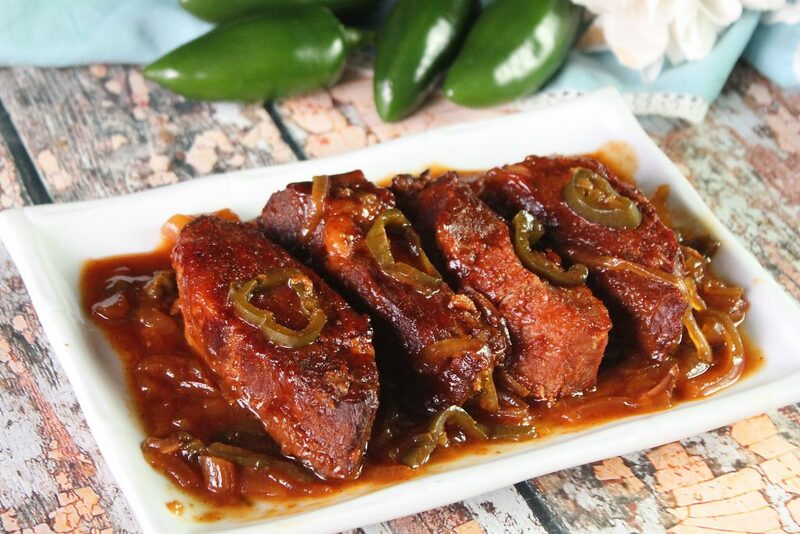 I had a package of these type ribs that needed to be cooked and an over abundance of jalapenos from my meager garden. I was hungry and using what I had on hand is basically how these Sweet Heat Country Style Ribs were born. I love using different flavors together and sweet and spicy is at the the of the list of being a favorite.